Ring News 24Boxing NewsDoes Rocky Marciano’s Record Really Stand Up To Scrutiny? 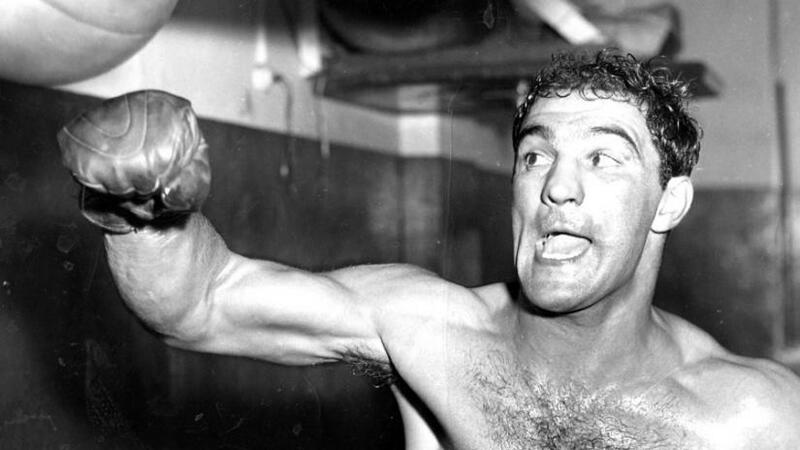 Does Rocky Marciano’s Record Really Stand Up To Scrutiny? 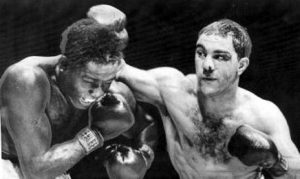 It has been sixty three years since Rocky Marciano resisted the urge to culminate his fighting record with a well rounded 50-0 total and walk away from boxing. But debates still rage on to this day in regards to how really valid that famous 49-0 figure still stands! In this modern era where the unbeaten record is supposed to mean something just by simply looking at the main numbers, some are quick to belittle Marciano’s record while stating that he never existed during the 1970’s “Golden Age” of heavyweight boxing as a solid reason for why it does not amount to much. There are also other factors that are often bought into the equation as well, some of which are valid. And others, not much so. The most glaring fact that immediately comes to mind first is that no other heavyweight boxer, regardless how good or bad they were, has managed to equal or beat 49-0. Boxers in the lower weight categories have done so, but no heavyweight can claim such an achievement. Some fighters that have come closest are Russia’s Nikolai Valuev, who faced his first loss at 47-0. And then there was Larry Holmes, heavily considered to be the greatest jabber in heavyweight history, whose seven year title championship reign came to an end after being outpointed by Michael Spinks in what was his actual 49th time in the ring. Holmes, bitter from defeat, declared that Marciano could not carry his jockstrap. These were words that would go on to haunt him indefinitely. 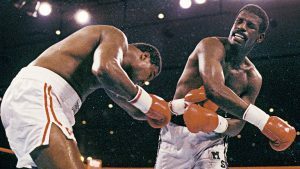 Michael Spinks is seen here ruining Larry Holmes’ quest to equal Rocky Marciano’s 49-0 record. It is no easy feat to achieve what Rocky Marciano once did during his career, which spanned from 1947-1955, regardless of opposition quality. Just thinking about how often world champions fight on an average per year today, often only twice, forty nine fights in only eight years seems unimaginable! I just want to get this out of the way before continuing. Objectively, it is not Rocky’s fault that he existed in the era that he did. But was it really as weak as some make it out to be? Take Archie Moore, for instance. Yes, he was 39 years of age when he was chosen for Rocky’s last time in climbing through the ropes. But few remember that he was also the light-heavyweight champion of the world! After his loss to Marciano, Moore would go on to win another eleven fights, making one more successful defence of The Ring and Lineal championships. Ezzard Charles and “The Rock” would have two bouts with one another. It had not been that long since Ezzard had overcome the likes of Nino Valdez and Jimmy Bivens, who once occupied the number one spot as challenger for the title. It might be fair to say that the two fights Marciano had with Charles were his toughest and most brutal. In the rematch, his nose suffered a horrendous looking injury after his nose was split in half. The fight was about to be halted in Charles’ favour when Rocky scored a knockout in the 8th round. Don Cockell was the British and Commonwealth champion when he got his opportunity to try and crack Marciano’s then 48-0 resume. Then there are those that mention the age of many Rocky’s opponents. Roland LaStarza was 26 years of age and put his 37-0 record on the line. Harry Matthews, 29. Bernie Reynolds, 27. Rex Layne, 24. There were more. I think the sad defeat of a 37 year old, and well worn Joe Louis combined with fighting the likes of a 38 year old Joe Walcott sticks out in the mind the most and blindly convinces those that are uninformed that he must have feasted on combatants that had seen better days. But actually, they were few and reasonably far between. I don’t know about you, but the legacy and all of the data that we have available suggests to me that what Rocky Marciano left behind is still of immense value. And it will continue to be so for many years to come. Can Mikey Garcia Still Achieve His Dream Of Becoming A 5 Weight Champion?